Fabcon Food Systems Ltd. offer a wide range of seasoning systems to suit a variety situations. Our range allows the processor a choice of bespoke solutions for their unique products. Designed and customised for your seasoning or blending needs, our drums offer slow speeds and gentle action to prevent product breakage. 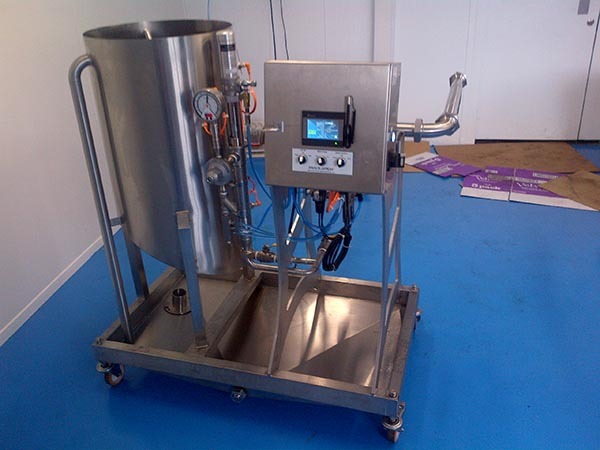 The uniform product bed ensures optimal flavouring and mixing consistency. The variable angles, flight patterns and speeds provide a wide throughput range. An optional plastic liner is available for easy removal and sanitation for smaller applications. Drums vary in diameter from 600mm to 2,000mm and from 900mm up to 4,000mm long. Powders, granules, and fine products are controlled and handled easily. Designed to convey, dispense and spread light and fine products accurately they make ideal sprinkling and coating solutions. With the capability to handle a broad range of products, including high fat powders, they provide excellent seasoning coverage and are easy to clean and maintain. 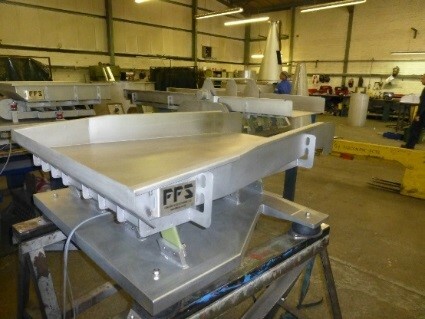 We manufacture trolley systems mounting the scarf and seasoning feeder to ease cleaning. 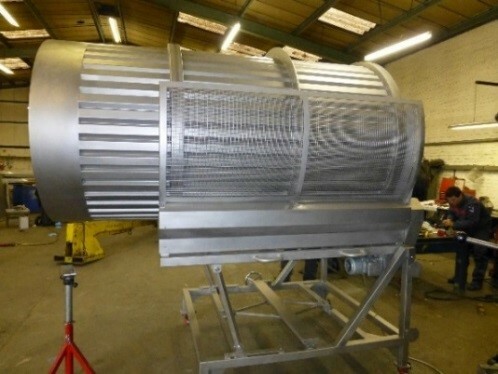 We now offer our own design of seasoning feeder which is available for test purposes. Suitable for a variety of light to medium viscosity liquids, oils and oil/water solutions, our unit delivers precise, repeatable spray patterns. Variables from air pressure, ingredient feed rates and pump delivery pressures are regulated from a single control panel. 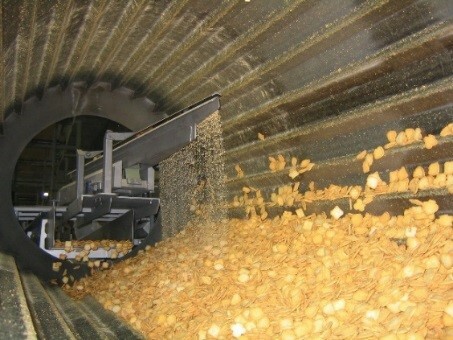 This regulation increases production yield, minimises ingredient waste and maximises process efficiency. The simple design maximises reliability whilst reducing cleaning and maintenance time. 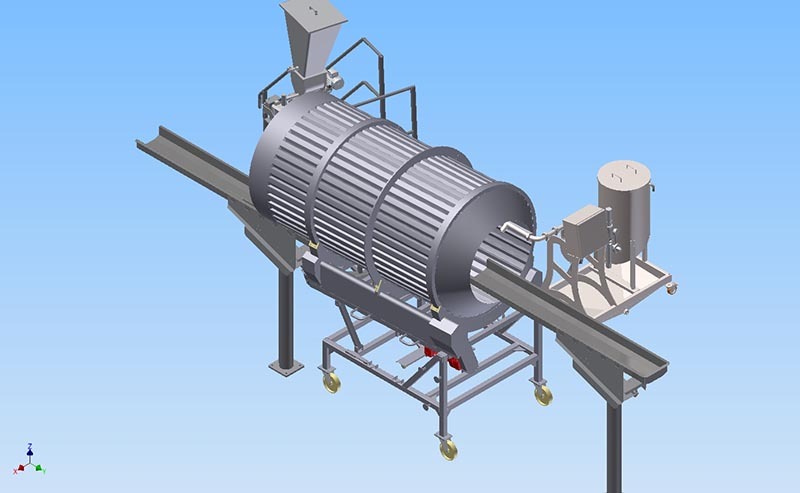 This high efficiency, low maintenance, integrated vibratory weighing conveyor provides exceptional weighing accuracy for increased seasoning accuracy. 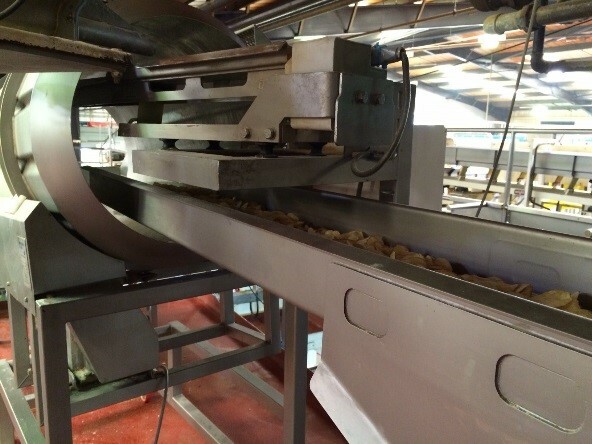 Coupled with an appropriate flavour drum, flavour applicator and scarf feeder, the VIBRA-WEIGH can provide flavour applications with a standard deviation better than 0.35% and salt applications with a standard deviation of better than 0.11%. The unit is of simple construction and extremely robust, making maintenance and cleaning easy.